Having culled through the list of starting pitchers on this winter's free agent market, I have come up with a ranking of the best fifteen names. Here are those pitchers with comments pertaining to possible Red Sox interest. 1. Jon Lester, LHP Oakland. Nothing has changed in my mind since last spring training, Lester is still the guy who makes the most since for Boston to drop their biggest contract offer onto. They know he can handle the Boston scene and produce in October. Can they sign him now that he was traded away in July? Everything said by the Sox and Lester since the trade leads one to believe a deal can be made. But will the Sox offer be blown away by a bigger spender? The two suitors mentioned most often- Yankees and Cubs- have been dropping hints (misdirection?) they will not spend on pitching this winter. The Yanks because they are all ready drowning in big $$ deals and the Cubs, as theorized by Buster Olney and others, may wait until next winter when David Price, Johnny Cueto, Jordan Zimmerman, and others hit free agency. If the Yankees and Cubs sit out the Lester sweepstakes it improves Boston's chances but teams like Seattle ( who really needs hitters more) and the Tigers ( to replace Max Scherzer) still loom, to name just two. If the Lester offers get to the rumored 7 year 180M territory, the Sox will look elsewhere. 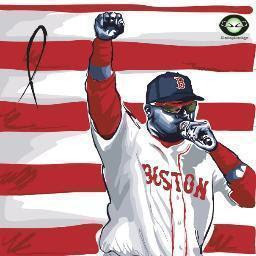 One last plus for Boston, Lester could not be given a qualifying offer (QO) due to his mid season trade. So the team that signs Lester will not lose a draft pick. 2. Max Scherzer, RHP Detroit. The 2013 AL Cy Young Award winner is probably the number one guy on most team's list, but to me Lester would make more since in Boston. Max turned down 6 years 144M this spring from Detroit. He is said to be gunning for a 200M contract. He will not get it in Boston. 3. James Shields, RHP Kansas City. If Lester gets priced out of the Boston market, Shields is the most likely Red Sox free agent addition. Shields would eat over 200 innings for the Boston rotation, and would fill the #2 spot. But despite his Big Game James moniker, he is nor really a number one ace. The AL Champs Royals did place the QO on Shields, so the signing team forfeits a draft pick. Since Boston has a top ten pick (#7) next June, its first round pick is protected meaning Shields ( or other pitchers on this list with a QO) would cost a second round pick. 4. Brandon McCarthy, RHP NY Yankees. McCarthy was traded from Arizona to New York in July. In Arizona he was 3-10 with an ERA over 5. After joining the Yankees, he was 7-5 with a 2.86 ERA. McCarthy has always pitched well when not injured, but he has been injured a lot. If it is true New York will skip bidding on the top three above, keeping McCarthy will be their first goal. I think he stays in New York, but if the Yankees change direction the Sox will show some interest. 5. & 6. Francisco Liriano, LHP Pittsburgh and Ervin Santana, RHP Atlanta. I have listed these two as an entry because both of their stories from a Boston point of view are nearly the same. First, both hurlers have the QO attached to them. There have been whispers that if the Sox get shutout on the top three, either of these two could be Sox targets. Both pitchers have spent time in both leagues with up and down seasons in each. If either (both?) would sign for a two year deal between 20-30M total Boston might go for that, but I find it hard to believe Boston would give up a second round draft pick for Liriano or Santana. 7. Hiroki Kuroda, RHP NY Yankees. Kuroda fits on this list talent wise, but in reality it seems (the same as last winter when he was a free agent), Hiroki will only sign with the Yankees, Dodgers ( his first MLB team), or return to Japan to pitch or retire. 8. Justin Masterson, RHP St. Louis. This is the most likely name on the entire list to sign with the Red Sox. Justin broke in with Boston. He has a familiarity with Boston and John Farrell. He was traded in July so like Lester, he by rule could not have a QO, so no draft pick compensation needed. And Boston can get him from the bargain bin due to his terrible, injury plagued (non-arm) 2014 season. Masterson was 7-9 with a 5.88 ERA. But in 2013 for Cleveland he went 14-10 with a 3.45 ERA and 195 strikeouts in 193 innings pitched. Masterson. also won in double digits in 2011 and 2012. There are two schools of thought on the type of deal Justin is looking for. One thought is a one year revive his career deal, the other theory is a 3 year deal for around 36M. I think Boston would jump at either, especially the one year deal. 9. Jake Peavy, RHP San Francisco. Peavy's performance with the World Champs after being traded from Boston likely will earn him a new two or three year deal. But it will likely be in the NL and certainly will not include a return to Boston. Thanks for the 2013 memories, Jake. 10. Edinson Volquez, RHP Pittsburgh. As a 24 year old with Cincy, Volquez looked like a superstar with a 17- 6 season. But Volquez will be 32 next July, and has never matched that 17 win campaign due to injuries and inconsistency. 2014 may well have been his best season since then, he was 13-7 with a 3.07 ERA for the NL wild card Pirates. If the Red Sox get completely shut out on the better choices above, I suppose they could take a flyer on Volquez. But I think he is better suited for the NL. 11. Brett Anderson, LHP Colorado. If the Red Sox could wave a magic wand of good health over Anderson, he would jump to the top of this list. Anderson, who has pitched mostly for the A's is still only 27 years old. And the lefty has a career ERA of 3.73. But he has been a repeat of former Oakland hurler, Rich Harden, when healthy a great young pitcher but he is so rarely healthy. Not out of the question the Sox would sign him to a short term incentive laden deal. 12. Jason Hammel, RHP Oakland. Hammel pitched well enough in early 2014 to be traded to Oakland with Jeff Samardzija. He could be useful to fill out the back of a rotation, but Boston is shopping for front end candidates. It is more likely Boston starts 2015 with Samardzija than Hammel. 13. AJ Burnett, RHP Philadelphia. AJ turned down a player's option to become a free agent and forfeited 12.5M from the Phillies. Burnett may have a year left in his arm, but he cannot thrive in the AL East. 14. Brandon Morrow, RHP Toronto. The Blue Jays declined to pick up Morrow's option placing him on the market. Another pitcher who looked the part of a future ace in his younger years in Seattle, but Morrow is another injury prone guy. Two months or so ago, there were whispers of Red Sox interest in Morrow if the Jays cut him loose, due to John Farrell's time with him in Canada. Brandon, who was born on July 26, 1984, still has time to salvage his career as starter or in some team's bullpen. It could be in Boston, but he is not likely to be the ace the Sox need. 15. Ryan Vogelsong, RHP San Francisco. Ryan has been useful to a team that has won multiple World Series titles. That is about all you can say about his attractiveness on the free agent market. There are few other starting pitching candidates on the free agent list ( Kevin Correia, Scott Feldman, Colby Lewis for example) but if the Sox find any rotation help it will likely be high on this list. Or in a trade or two, which will be the subject of the next post coming soon. Nice list Art, in looking at the list of potential free agents beyond the top 3 there is not much out there that meets the needs of the Red Sox. I really want Lester and feel that you accurately point out that Scherzer will be out of the Sox price range. Shields would be a nice addition to be able to eat innings but as you point out he is not the #1 stud ace the Sox desire. A couple of intriguing names to me are Brett Anderson and Brandon Morrow, simply because of age and upside although their history's do concern me. A reunion with Masterson would be a plus for the 2015 Sox but again not an ace. A final name that I might have interest in is Ervin Santana although the QO might be a deal breaker. Without Lester, I think it is more likely the Sox go after Cole Hamels or Jeff Samardzija. Mets beat reporter Marc Carig, reported on the Hot Stove Show yesterday about the possibility of a trade between the Sox and the Mets. He is quoted as saying, “Their two biggest needs are a corner outfielder with power, particularly a right-handed bat. That would be one. And right behind that would be a shortstop. I think any team that could offer one of those things to them becomes of extreme interest. Now it becomes a question of whether the Mets want to put in play their best trade chips." Which got me thinking would you trade Cespedes and Marrero (or even Xander) to the Mets for Matt Harvey? Would the Mets do that deal? Would they take Cespedes and Marrero for Jacob de Grom? Good breakdown of the pitching free agent class. Boston's biggest need, according to most is "front-line" starting pitching. I just don't think that it's realistic that the Red Sox come away with one of the only two aces on this list (Lester and Scherzer). 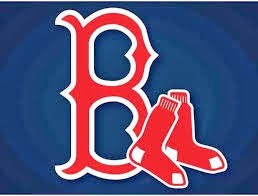 I think it's more likely that the Red Sox try to build a rotation with depth 1-5, or trade for an ace. As Jason mentioned I've heard the Mets mentioned as a potential trade partner by multiple sources (including the Deacon). I'm not so sure that they're a match, but time will tell. I think one of the '15 free agents like Cueto would be a better fit and then the Sox could have some time to work out an extension. Colorado is supposedly open to trading Carlos Gonzalez and/or Troy Tulowitzki. The Red Sox have the assets to land both of them in a trade and they have the money to spend to pay for the bulk of their contracts. CarGo could play CF or RF and then Tulo could play SS with Xander moving to 3rd, or Tulo could move to 3B. Ben Cherington certainly has plenty of options this offseason and I don't think we'll see a repeat of last offseason when he stood pat and didn't do enough to put a winning team on the field.